TAIPEI, Mar 22 2019 (IPS) - Reporting on China’s harassment of journalists has never been easy. Lately it’s been getting much harder, which suggests that conditions for the press could be worsening. At least 47 journalists were jailed in China at the time of CPJ’s 2018 prison census and I am investigating at least a dozen other cases, but the details are hard to verify. The reason: authorities are deliberately preventing information from getting out–and they are getting really good at it. Information was so scarce on the latter cases, that CPJ was unable to confirm who the journalists were and if they were still detained at the time of our prison census.By ensuring little to no information is available on these individuals, Chinese authorities are able to prevent widespread coverage and avoid being held to account for their actions. Ding Lingjie, the editor of Minsheng Guancha (Civil Rights and Livelihood Watch), is one of several journalists imprisoned on that charge, whose records should have been made public. 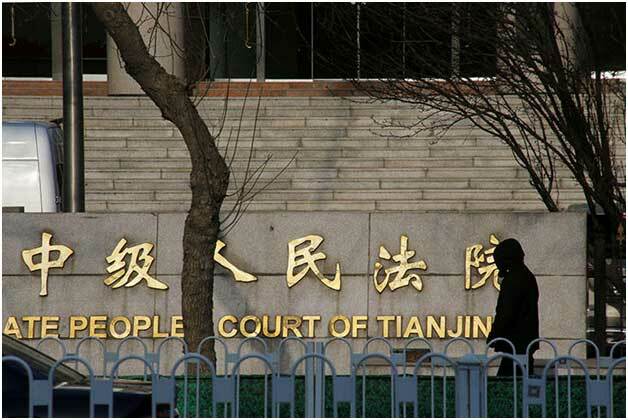 As testament to the opacity of Chinese judicial system, only six judgments from 2018 are posted on the website of the Beijing Shijingshan People’s Court, which is handling Ding’s case. No data is available for last year, but the Beijing court system says the court has taken on over 5,600 cases since January 1, which gives an idea of the scale of the cases it handles. In December, it sentenced Ding in a closed hearing to one year and eight months in prison, according to news reports. A day later, when Zhang returned to the detention center, authorities blocked him again without providing a reason and told him that his law firm was no longer handling the case, according to Radio Free Asia and Zhang’s statement on Minsheng Guancha. Despite combing through public court judgments on China Judgements Online, a public access service that allows users to review verdicts, orders, mediation documents, and notices, I was unable to find any records relating to the arrests. Chinese authorities often issue instructions to media outlets forbidding coverage of a reporter’s arrest or trial. When the Mianyang Intermediate People’s Court held a trial for Huang, Chinese media received an order from the government to not “report, republish, or comment without prior arrangement” on Huang’s case, according to China Digital Times, a California-based media organization that reports on uncensored news in China. In cases that don’t involve politics or human rights, authorities allow some reporting but often key details, such as the suspect’s name and alleged crime, are redacted. Take the Shaanxi arrests last year of people whom authorities called “fake journalists.” Authorities said they detained 96 people, and shut down five social media accounts, 15 local broadcasters, and 45 apps on accusations of spreading illegal political information or rumors, according to news reports. However, only a few vague reports appeared in media outlets or on the website of the Shaanxi Provincial Administration of Radio and TV. These scant news reports failed to provide names, which made the task of beginning to verify any of the 96 arrests near to impossible. Last year, authorities officially banned the unauthorized use of virtual private networks (VPNs), a service many in China rely on to circumvent the infamous “Great Firewall.” In October, companies providing VPN services said they had detected a higher frequency of authorities attempting to block VPNs, leading to suspicions that the government had deployed on-the-ground censors to work against them. When I called the Cyberspace Administration of China for comment, an official said that he had no information on the matter and refused to redirect my call. In January, I experienced connectivity lags while browsing Chinese websites, including China’s largest online search engine Baidu, public security bureau websites, and the social platform Weibo, from Taiwan, where I’m based. Access was blocked entirely and restored only when I switched to other devices and used a different IP address. The experience suggests that authorities not only attempt to control the use of internet within China’s borders, they also try to keep its so-called “internet sovereignty” intact by denying searches from outside the country. After China’s use of “re-education camps” to detain up to a million Uighur minorities came to international attention in 2017, it became more difficult to contact public security bureaus in Xinjiang for confirmation or comment on arrests. I found that police and officials no longer answered my calls and several listed numbers were no longer connected. On the rare occasions that I do get through to an official, they refuse to answer my questions. In September, I attempted to contact the Urumqi Public Security Bureau to ask about detained scholar and blogger Ilham Tohti and his fellow students. Several calls went unanswered before a female official answered the phone. As soon as I identified myself, she hung up. I made another call and the same official answered. This time she yelled at me, seemingly in panic, and told me to never call this number to ask questions again. As well as declining to comment on detentions, China has threatened family, friends, and lawyers. Authorities held Pu Wenqing, the mother of jailed journalist Huang, in an undisclosed location for nearly two months, with no contact with friends or activists, according to news reports. Even after her release on January 21, police called her and ordered her not to post anything online, according to Radio Free Asia. The officer who made the calls told Radio Free Asia that he was under state security orders to monitor internet traffic about Huang’s case. Pu is still under surveillance today, a 64 Tianwang volunteer told me. While Pu was under detention, Guangdong’s Department of Justice disbarred Huang’s lawyer Liu Zhengqing for “using language that endangers state security and slanders others,” according to reports. Huang’s previous lawyer Sui Muqing was disbarred for “using uncivilized, offensive wording” and other poor behavior while representing a fellow lawyer, and for bringing a cell phone to take photos of a rights activist in a detention center whom he was representing, according to news reports and Sui’s Twitter account.Both Sui and Liu had been vocal about Huang’s case. They talked to the media and posted case updates regularly on social media platforms and human rights websites. Despite attempts by China to censor and silence the press, journalists continue to report on critical social issues–even if it means they risk arrest. And CPJ continues to investigate and publicize their cases. *Prior to joining CPJ, Hsu interned at Human Rights Watch, Center for Arms Control and Nonproliferation, and the Atlantic Council. Hsu obtained her master’s degree in international affairs from American University. She speaks Mandarin and French and lives in Taipei.